After labouring through four match days without scoring a goal, Abia Warriors finally got the monkey off their backs with a five-star outing at Lobi Stars that produced a 4-2 road trip win. 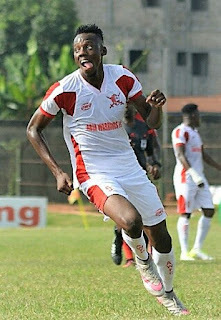 Although, the Umuahia side shocked champions, Rangers 2-1 on the opening day of the season away from home and scored twice at FC Ifeanyi Ubah, Sunday’s result will count as their best outing on the road this term. Ironically, the last time the Warriors scored was on July 9, when they recorded a 2-0 win over Nasarawa United in a match day 28 clash. 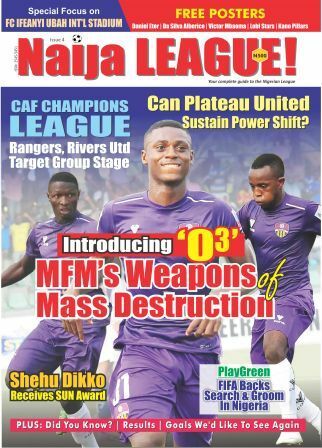 After the home win, Abdullahi Biffo’s Warriors lost at El-Kanemi Warriors on match day 29. Back-to-back home matches against Akwa United and FC Ifeanyi Ubah produced barren results and in-between they travelled to Niger Tornadoes to earn another barren scoreline. With barren scorelines in three matches and a four-match winless run, the picture on the log was obvious as the club slipped from the middle of the 20-team log on match day 29 to 15th position on match day 32. At the end of match day 32 proceedings, the Umuahia side was just one point away from drop zone. However, everything changed during the visit to Lobi Stars. If their 4-0 home win over Rangers was outstanding, the 4-2 road trip win at Lobi Stars was extraordinary. Remarkably, Sunday Adetunji, the player who scored the last goal back in July, resumed scoring again. The moment Adetunji equalized, it was obvious Lobi were in for trouble as the defence couldn't contain his troubles. Adetunji eventually hit a brace with goals also coming from Anthony Okemiri and Chinenye Agoha. However, Adetunji suffered an injury after scoring his brace on match day. Interestingly, it was the second time Okemiri will score against Lobi after scoring in the reverse fixture on match day 13. It was a day the Warriors were at their best and completely overwhelmed Lobi Stars to the admiration of the home fans. Expect a full house on match day 34 when Shooting Stars Sports Club visit Umuahia.